If you purchase a screwdriver from us and you pay using your Paypal account you will be directed to a very brief survey (if you pay without logging into a Paypal account you will not be automatically directed to the survey). We have been looking over the comments from that survey and have spotted a few items of interest. 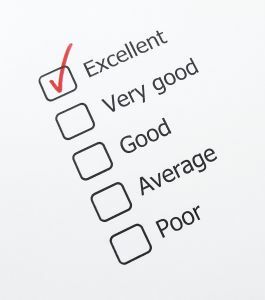 When people take the survey it allows us to get real feedback on what we can improve on. Each and every answer is considered greatly and allows us to make needed changes to how we do things here at Nintendo Screwdriver. The first thing that we see is that pretty much every one of our customers appreciates Free Shipping. We understand how frustrating it can be to find something online that appears to be a great deal only to find out that the shipping costs more than the item. That is why everything we sell can be shipped for free. If you are in a bigger hurry we do offer a faster shipping method. However, the free shipping included is First-Class Shipping and is pretty quick (under 5 days). The second thing that we noticed is that some customers were skeptical about whether NintendoScrewdriver.com is legitimate or not. Since we found this we made some major changes to the site so make it a more comfortable atmosphere. The major things we did is took off the Ads, added reviews, and made an about us page. We realized that the ads gave no real value to our visitors, and all they really did was make the site feel cluttered, so we got rid of them. Adding reviews had a dual purpose. First, we wanted customers to see what kind of experience others have had using our site, how reliable the shipping was and how our screwdriver performed. The second purpose for reviews is that we get some great feedback and can see what our strengths are and places we might need to improve. With all that said, let us know what its like ordering from Nintendo Screwdriver! It helps us improve and helps other visitors know what to expect.